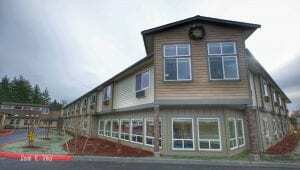 The Centralia-Chehalis Chamber meets on the second Monday of each month. The schedule is adjusted for holidays. 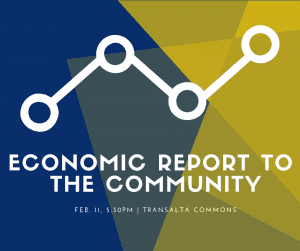 Click here for the complete event calendar for the chamber. It’s the last Friday Farmers Market in downtown Chehalis! We’re wrapping it up with an amazing street concert from Paul Mauer and the Silence!! Come out for live music and hot food. Visit with your favorite farmers market vendors. Produce is abundant there are pumpkins and squash, cucumbers, peppers, tomatoes, eggplant, corn, beets, cabbage, gourmet cultivated mushrooms, flowers, herbs, plants, art, fresh eggs, hand and body salves, hand crafted teas, jellies and jams, organic cheeses and much more! We may be small, but we pack in the variety! Thank You Chehalis! 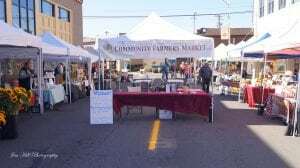 Tuesday Market will be open through the end of October. 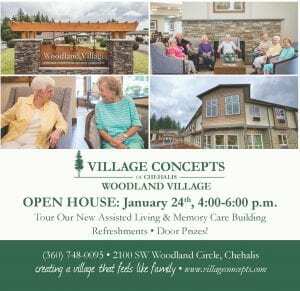 Village Concepts of Chehalis, Woodland Village is excited to personally invite you to view its new Assisted Living and Memory Care building. Join us for hors d’oeuvres, beverages, door prizes and tours of our new building! Village Concepts…a village that feels like family! Please join us for our “Chamber of Commerce Ribbon Cutting” to celebrate the opening of our new Assisted Living & Memory Care building. We are excited to provide our community with this vital resource. Refreshments and tours will be available. For more information contact Tanya @ 360-827-0085.